When am I eligible for Medicare benefits and when should I enroll? If you're turning 65, you probably know this is the birthday that makes you eligible for Medicare. (If you are disabled, you may be eligible earlier than age 65.) Beyond that, it gets more complicated. Do you have to enroll at 65? What happens if you don't? Which parts and plans should you enroll in when? And why? There are only a few things you need to know, but they're important. Do I have to enroll in Medicare at age 65? You are not legally required to enroll in Medicare at age 65 — even if you're working and you have health insurance through your current employer, or are self-employed with individual and family coverage. But if you’re turning 65 and retired or will retire soon, you'll likely pay the lowest premiums if you enroll in Medicare during the initial enrollment period. The initial enrollment period starts 3 months before the month of your 65th birthday and continues through 3 months after. For example, if you were born in June, this period extends from March through September. If you were born in October, it's from July through January. You may pay a higher premium if you enroll after this 7-month period. You may pay premiums for Medicare Part B (covering outpatient care) and Part D (covering prescription drugs), Medicare Advantage (Part C, which is Parts A and B plus additional coverage), and Medigap plans. Once you're eligible, you may pay higher premiums if you delay enrollment in these parts and plans. Medicare Part A covers only inpatient care, such as in a hospital or long-term care facility. Most people don't pay a premium for Part A, so there's no penalty for enrolling later. What if I'm still working and I'm covered through my employer's health insurance? You don't have to enroll in Medicare if you're still working and covered by your employer's plan. That is, you won't pay a penalty in the form of higher premiums if you wait until you stop working to enroll in Medicare. However, because most people pay no premiums for Part A, it costs you nothing to enroll right away, even though you may not need the coverage right away. If your company has 20 or more employees, your employer coverage is primary — that is, it pays claims first. If your company has fewer than 20 employees, Medicare pays first. When you do stop working, you have 8 months to enroll in Medicare Part B and 63 days to enroll in Medicare Part D after your employment ends. Any later than that and your premiums may be higher when you do enroll. Note: If you defer your enrollment in Part D, you will need to provide proof that your employer's prescription drug coverage is "creditable." To do this, you submit a Creditable Coverage Certificate, which your employer group is required to provide. After I retire, when is my next chance to enroll in Medicare outside of the initial enrollment period? Remember: when you stop working, you have 8 months to enroll in Medicare Part B and 63 days to enroll in Medicare Part D after your employment ends. Any later than that and your premiums may be higher when you do enroll. 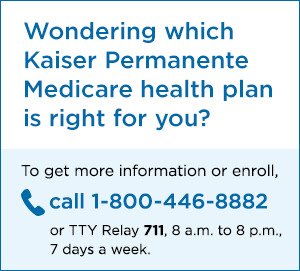 Enroll in a Medicare plan for the first time. Switch between Original Medicare and Medicare Advantage plans. Enroll in a stand-alone Medicare Part D prescription drug plan, or switch from one stand-alone Part D plan to another. Drop your stand-alone Medicare Part D plan, possibly because you’ve enrolled in a Medicare Advantage plan that includes drug coverage. For more information about how Medicare works, visit medicare.gov or call Social Security at 1-800-772-1213. Or check out our latest videos about Medicare coverage, costs, and enrollment periods.